As more and moreChina-made iPhone LCD screens flooded the market as the time went on, you may be confused by their different kinds/brands or qualities. For those China made LCD screens, most of you may be familiar with Tianma, Longteng, Jingdongfang. For Longteng/LT, its official name is IVO, and Jingdongfang/JDF for BOE. The rest are Shenchao, Innolux, AUO(Taiwan Brand), JDB etc. 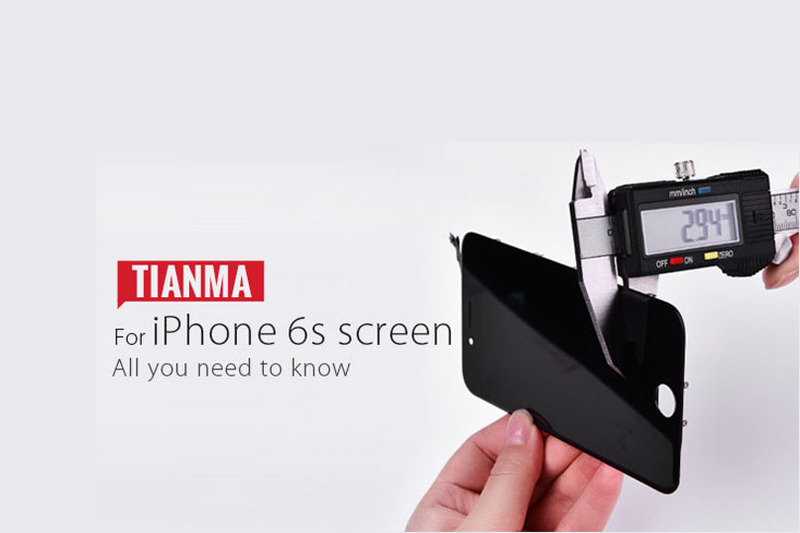 Tianma Made iPhone screens are gaining more and more attention and reputations, and we are willing to recommend this kind of LCDs to customers of different demands. Consequently, it’s necessary for you to have a good knowledge of them when you happen to have an intention of or be in the business of cell phone spare parts. Let’s take TM(Tianma) iPhone 6s screen for example and have a deep analysis on it from a professional point of view in the aspects of Appearance, Structure and Function. There are some slight differences between TM iPhone 6s LCD and OEM one as regards the Weight, Thickness and Home Button Size. By measuring up with micrometer, we can easily tell that TM made screen is thicker than the OEM one for a plastic layer has been added on the glass lens. Compared with the In-cell structure of OEM iPhone 6s screen, TM screen applies G+F technology in the process of production as the below diagram shows thus making its overall thickness greater than the OEM one. NOTICE: By analyzing, TM iPhone 6s LCD functions well, but still has some small differences like color, hydrophobicity etc. which do not affect the normal use. It is relatively stable at present from the above performances. Considering the competitive price of China Made screen, sample orders are recommended to test if it can meet your needs.